The National Highway Traffic Safety Administration has announced a voluntary Ford recall of 2009 and 2010 F150 pickups due to weak return springs in the interior door handles which could allow the doors to open in the event of an accident. 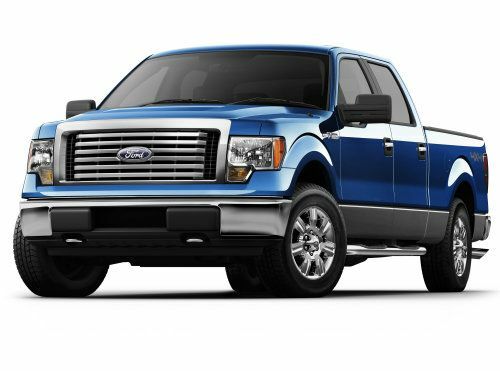 The NHTSA does not state how many 2009 and 2010 Ford F150 pickups are affected by this door handle recall but this announcement pertains specifically to trucks built between January 18, 2008 and November 30, 2009. In select trucks built during that period of time, the return springs in the interior door handles may not be strong enough to pull the handle back into the fully closed position. In the event that a truck with the handle not “fully stowed” is in an accident, the spring could allow the handle to slip and the door could open. In simpler terms, say that you open the driver’s door of your 2010 F150 to get out and when you close the door, the interior door handle does not return to the fully closed position. This means that once you get into the truck to drive next time, that handle could still be partially towards the open position and in the event of an accident, the impact could cause that handle to release and the door could fly open. This obvious greatly increases the likelihood of injury in an accident so Ford has gone ahead and made the call for those trucks to head back to the dealership. The announcement also states that there have been no injuries as a result of this defect. This 2009-2010 Ford F150 recall is set to official begin on or around February 14th and Ford asks that any F150 owners with interior door handles that feel loose or do not seem to return to the fully stowed position contact your dealership right away. For those experiencing the looseness issue right now, the dealership will replace the door handle assembly but for those not currently experiencing the looseness issue, once the parts become available you will be asked to bring the truck to the dealership for inspection. Should the spring be found to be too weak, the spring will be replaced and in the worst situations, the handle assembly could be replaced. All of these services will be performed free of charge to the customer. I have a 2010 Ford F-150 the door handle on it has broke twice . And is broke now because I have not fixed it yet . I heard they were a recall .